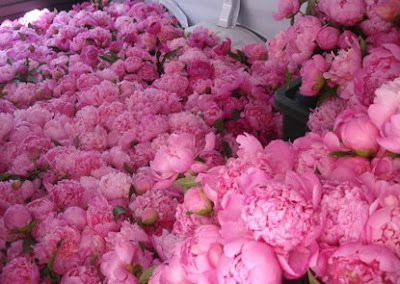 Rose and Radish did a wedding this past weekend with THREE THOUSAND pink peonies. Aren't they amazing? This is the back of their van on the way to the reception site. Don't you want to just roll around in there? No? Just me? we loved maui. we visited the old lahaina luau and really enjoyed it. it was a little more intimate than others and it didn't last all night. we ate at nick's fishmarket at the fairmont. the food was good, but it was almost uncomfortable. we had 4 different waiters and a photographer that kept trying to sell us a photo he had taken of us. we ate at spago at the four seasons and really enjoyed it. we rented a convertible for the week (which i highly recommend). we had to drive to different areas of maui to get to our excursions and having our own vehicle really helped. we did the drive to hana and stopped the shell station on the road to hana to pick up a CD guide to help us through the journey. we also rented an ice chest and bought snacks. the grand wailea (our hotel) prepared a boxed lunch for us to take on our trip. we left at 6:00 a.m. for the trip and were back by 4:00 p.m. this way we beat some of the traffic and still had some of the day left to relax at our resort. we ordered a lot of room service! we went on a sunset sail where (unbeknownst to us) it was BYOB. everyone else had what they needed but it felt "cheap" for a $100 boat ride! the company we used was Trilogy. we snorkeled with the fish and sea turtles at molikini crater and we used Maui-Molokai Sea Cruises at Maalaea. It was wonderful. we were in a great dive spot and had the option to "snuba." they provided a good lunch and mai tais. you're going to love it. we can't wait to go back. there was a wonderful mix of having lots to do and having tons of time to relax. sorry for my super long post!!! How gorgeous! 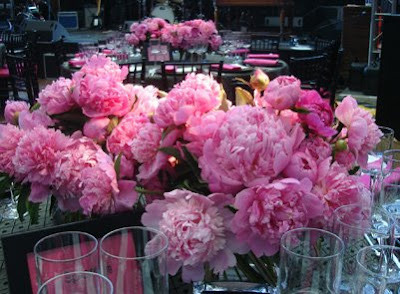 But my goodness, peonies are £1 per stem at the wholesaler here so I dread to think what this peony extravaganza cost! That's our entire wedding budget! And yes, I'd quite like to roll around in them too! Think how good you would smell after! oh my gosh, they are gorgeous! i would love to have a budget that would allow for that! Gorgeous, gorgeous, gorgeous! 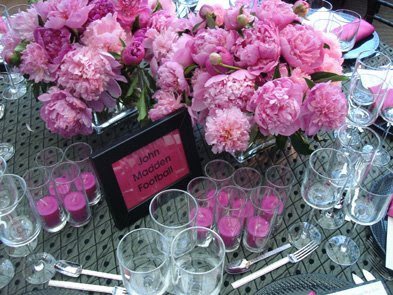 I heart peonies, too, and love them used solely in mass for any arrangement or bouquet. It provides such a lush, striking and fluttery look. LOVE them!